Designed by Lynette Meek for Kate's Milarrochy Heids collection, Roamin is a charming lace and colourwork tam, inspired by the songs of Harry Lauder, featuring a unique trio of thistle tassels. 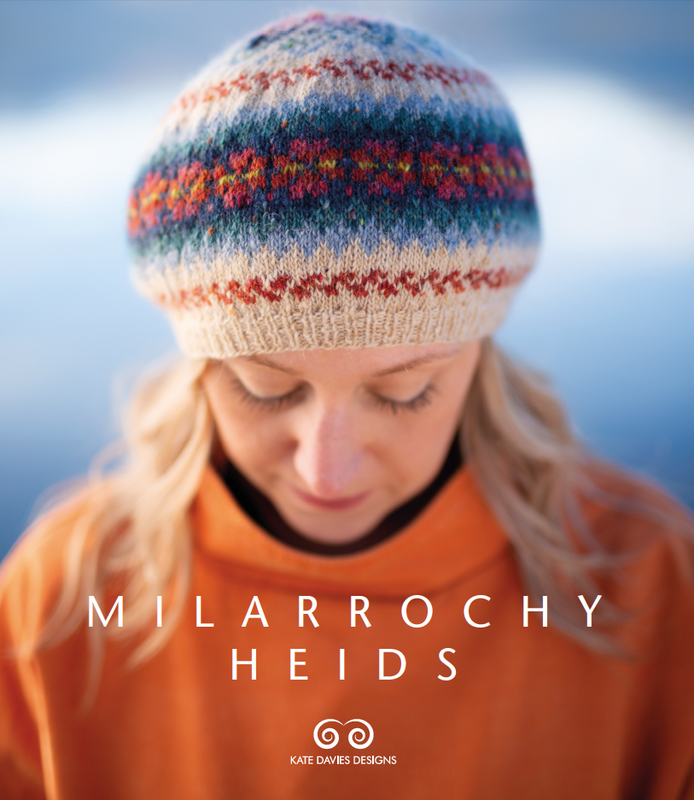 with a contemporary palette and feel.
. . . you will also need a copy of the Roamin' pattern from Milarrochy Heids.